We are offering our clients the finest quality of Urology Products to our esteemed clients. The product is manufactured using very high quality raw material procured from the reliable vendors of the industry. It is manufactured under the supervision of our expert professionals keeping in mind the industry set quality standards. Every product is quality tested on varied parameters before delivery to the customers. We provide a wide range of urology products such as Stone Basket, Medical Ureteral Catheter, Double J Stents and many others. 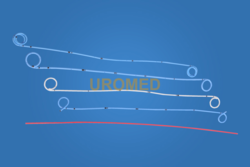 URMOED has lanched its premium catogary of drainage catheters . This premium catheter is provided with safty machanism to safeguard the pateints comfortness.The safty string hold the catheter in proper shape inside the body for longer period. 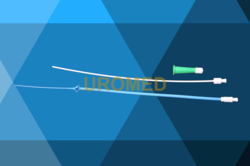 UROMED premium drainage catheter provides superior drainage. it has been designed to suit all kind of body fluid drainage. All the sizes are available accordance to the requirement. 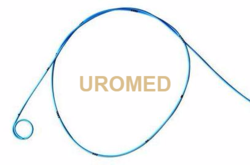 Uromed Mono J Stent is a specially designed product with several unique features. It contains drainage openings in the shaft over a length of 30 cm from the pigtail of the catheter. The extended curl of the Mono J’s pigtail vastly improves positional stability and traumatic characteristics in the renal pelvis. Made of a radiopaque polyurethane material. Soft, smooth and semi-flexible ensuring minimal patient trauma. Comes in a sterile peel-open packaging and is intended for one-time use only. We are into manufacturing and exporting of Malecot Suprapubic Nephrostomy, which is designed by our expert designers keeping in mind the latest market trends and customers requirements. Latest techniques and modern machinery are utilized in the manufacturing of these products and are widely demanded these days. Every product is quality tested on varied parameters before delivery to the customers. Our customers can avail the product from us at very reasonable rates and within the specified time frame. Material provides superior biocompatibility and drainage. Uromed Stone Basket Nitinol is used for stone manipulation and the retrieval/removal of stones from the bladder, renal pelvis and ureter. Four and five wire configuration are available. 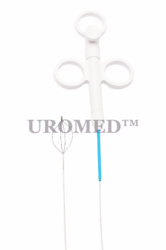 Uromed Stone Retrieval Basket is designed for the retrieval of stones from Bladder, Ureteral and renal pelvis.Stone Retrieval Basket also known as Urology Stone Baskets, Kidney Stone Retrieval Baskets, Dormia Basket, Ureterolithotomy Dormia Basket, Stone Extractor, Stone Retrieval Basket Lithotripsy, Stone Basket, Stone Grasper, Endoscopic Grasper. 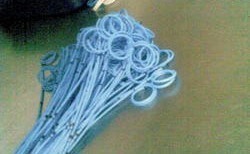 We hold rich experience in manufacturing and exporting of Radio Opaque Amplatz Sheath, which are widely demanded these days. These products are manufactured using high quality raw material procured from the reliable vendors of the industry. The product is available in varied specifications to satisfy the needs of the customers. They have various applications in medical fields and is appreciated by customers all across the globe. Our customers can avail the product from us at very reasonable rates and within the specified time frame. 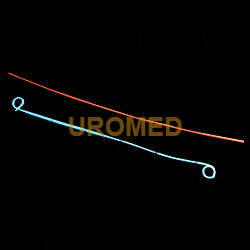 We are one of the leading manufacturers and exporters of Ureteral Double J Stents, which are manufactured using very high quality raw material to ensure 100% client satisfaction. The product is mainly used for temporary internal drainage from the ureteropelvic junction to the bladder. Our range is in high demand and is available at competitive prices. They are quality packed to ensure safe delivery till the customers end. Caution: periodic evaluation is advised; stent must not remain indwelling more than 6 months. 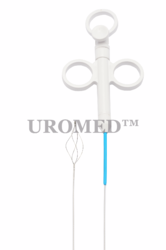 The Percutaneous Nephrostomy Catheter (PCN Catheter) is placed By directly puncture through the skin into the kidney. 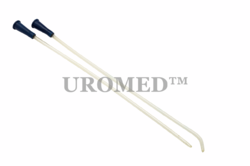 PCN Catherer provides temporary drainage of urine, from the kidney. The pigtail tip helps in the retention of the distal tip in the renal pelvis. Soft and flexible material for patient's comfort. 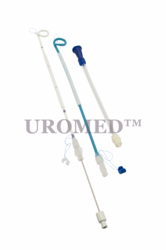 Uromed Nephrostomy Drianage Kit is a convenient complete set for percutaneous placment of drianage catheter. 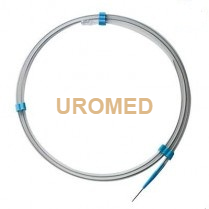 * Uromed provides all the sizes as required by the customers. 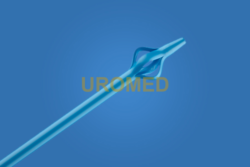 We manufacture and export very high quality of Ureteric Catheter. These are made up of very high quality raw material and are widely appreciated for their high quality. 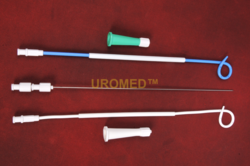 Used for drainage as well as retrograde pyelogram by open end tip it is placed over a guide wire for negotiation to tortuous ureter. The product is quality tested on various parameters before delivery to the customers. Our clients can avail the product from us at very reasonable rates and within the specified time frame. 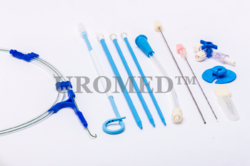 Clean intermittent catheter (CIC) is a technique for draining urine from the bladder in regular intervals. It can be used to prevent urinary tract infections and wetting by patients that have difficulty emptying the bladder completely. When the bladder remains filled with urine for long periods of time, it can provide an ideal setting for rapid bacterial growth. CIC empties the bladder before bacteria can multiply sufficiently to cause an infection. CIC also prevents wetting by patients with an overflow incontinence, a condition in which urine leaks from the full bladder and dribbles out. They are intended for one time use only. The catheters are made of transparent PVC. Catheters are supplied in sterile, Peel-open packages. 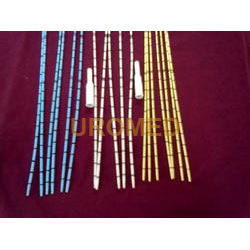 Our firm is engaged in the manufacturing and supplying of a gamut of Multi Loop Double J Stents, which is used for internal drainage from Ureteropelvic Junction to the bladder as a provisional Measure. Manufactured using optimum quality raw material, this product is demanded widely in various industries and is appreciated for its compact design, accurate results and excellent performance. The product is manufactured using latest techniques and methods evolved in the industry and is widely demanded these days. Being the leading manufacturers and exporters of high quality Endopyelotomy Stent, we ensure that the product in manufactured in compliance with industry set quality standards. Our range is extensively used for temporary drainage from the ureteropelvic junction to the bladder following incision of a stricture. The raw materials are procured from the most renowned vendors of the industry and latest techniques are utilized in the manufacturing process. 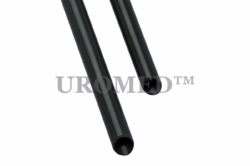 We manufacture these with soft tecoflex polyurethane for smooth passage in radio-opaque implant. 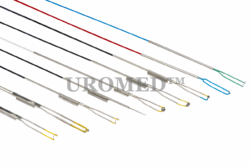 Being one of the leading manufacturers and exporters of Ureteral Catheter, we ensure that the quality product is delivered to the customers. Our team of expert professionals ensure that the product is manufactured in compliance with industry set norms and conditions. The product has various applications in medical fields and is widely in demand. The raw material utilized for the process is of very high quality and all the latest techniques and methods are used. We are counted among the leading industries engaged in offering a wide range of Double J Stents Set to our clients. 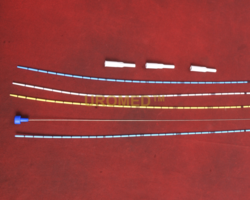 The range of Double J Stents is used for internal drainage from Ureteropelvic Junction to the bladder as a provisional Measure. These find application in various medical sectors and are customized in accordance to the clients’ requirement. They are manufactured suing premium quality raw material and in adherence with medical set quality benchmarks. 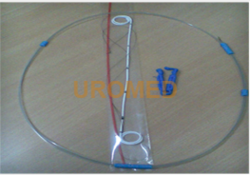 PTFE Guide Wire Used for negotiating urinary tract. Looking for Urology Products ?